The Army–Navy game is one of the most traditional and enduring rivalries in college football. 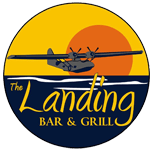 Join us at The Landing for our Annual Watch Party ! Featuring bucket & pitches deals and discounts for all armed service members.